The EUR/USD looks far more bearish than the SPX - we're already below the late May low! The next target seems to be 1.215ish. 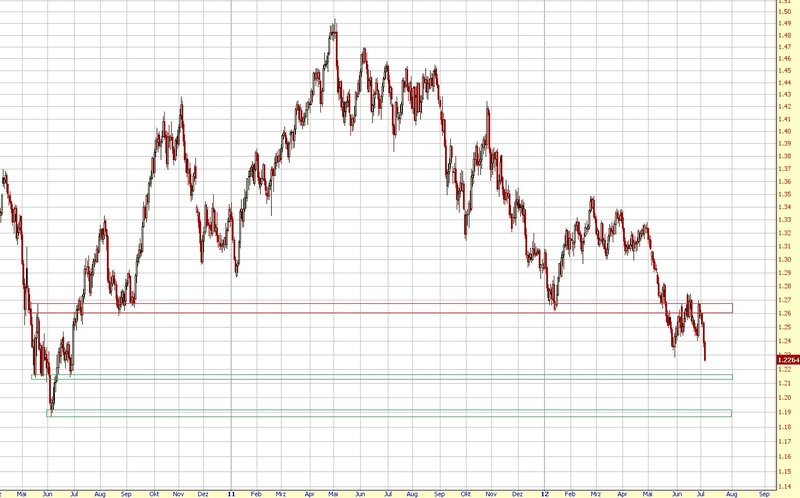 But most likely we'll decline to 1.19 which is the 2010 low.